" How Obesity Dulls the Sense of Taste"
Previous studies have indicated that weight gain can reduce one&apos;s sensitivity to the taste of food, and that this effect can be reversed when the weight is lost again, but it&apos;s been unclear as to how this phenomenon arises. Now a study publishing March 20 in the open-access journal PLOS Biology by Andrew Kaufman, Robin Dando, and colleagues at Cornell University shows that inflammation, driven by obesity, actually reduces the number of taste buds on the tongues of mice. Obesity is known to be associated with a chronic state of low-grade inflammation, and adipose tissue produces pro-inflammatory cytokines -- molecules that serve as signals between cells -- including one called TNF-alpha. 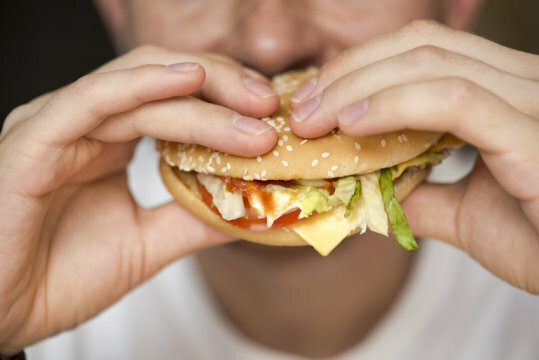 The authors found that the high-fat diet increased the level of TNF-alpha surrounding the taste buds; however mice that were genetically incapable of making TNF-alpha had no reduction in taste buds, despite gaining weight. Conversely, injecting TNF-alpha directly into the tongue of lean mice led to a reduction in taste buds, despite the low level of body fat. "These data together suggest that gross adiposity stemming from chronic exposure to a high-fat diet is associated with a low-grade inflammatory response causing a disruption in the balancing mechanisms of taste bud maintenance and renewal," Dando said. "These results may point to novel therapeutic strategies for alleviating taste dysfunction in obese populations."